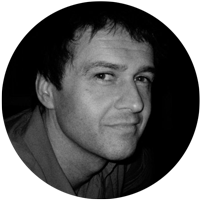 Ian currently leads Edelman Australia’s design, content, technology and user experience teams. Coming from a strategic and creative background Ian brings an uncommon perspective to the discipline of experience design, overlaying a deep understanding of digital branding & business imperatives across the more typical user centric approach. With over fifteen years of traditional and digital media experience in a wide cross section of creative disciplines, Ian’s skill set includes graphic design, art direction, interactive design, animation, UX/CX, social media and digital strategy. He has worked with a number of major agencies in Sydney as well as Asia, London and the USA, including Grey, Ogilvy, M&C Saatchi, News Corp and Accenture. Ian established the Sydney office of Beyond Interactive, one of the first digital advertising specialists to bring creative and media under one roof. In a challenging climate the team secured clients such as Vodafone, Holden, World Vision and Oracle. The agency was later acquired by the Grey group. At Profero he was part of the management team that grew the agency from a start up team of 6 to an established regional hub with a client roster including Apple, Daimler Chrysler and Macquarie Bank. As Creative Director at One Digital, now Isobar, he led winning pitches for major clients including Coca Cola, Adidas and Warner Music, adding to existing clients including HSBC, Tourism Australia, Hyundai and Pizza Hut. Ian and business partner Laura Peck established E&L Consultancy after being offered the opportunity to pitch for a global World Vision initiative. They successfully won the pitch, beating several established international agencies to launch ‘Micro’, an innovative micro finance programme working to alleviate poverty in poor communities. The partnership went on to work with other clients including Fairfax, OPSM, Wacom, Toyota and MCN Network. Looking for a new challenge outside of agencies, Ian joined News Corp to lead their digital product design and brand team. Projects included leading web sites, mobile and iPad apps such as Vogue Australia, Daily Telegraph, Fox Sports & The Australian. Ian’s creative and strategic work has earned recognition in most major awards in Australia. Most recently, Winner, Gold Sabre Awards (Social Media Campaign) for #galaxyemojisalive. He was awarded “Campaign Of The Year” at The Asian Advertising Awards for work developed for Mercedes Benz. Further, Ian has been chosen to judge international awards, been published in industry press and guest lectured at industry colleges. His personal work has also been chosen for international exhibitions and conferences, most recently his short animated film ‘We Never Learn’ premiered at Ted X in Sydney.